Tech Max Inspections uses technology to give our clients the most comprehensive inspection. This in concert with our superb service creates a end product like no other. Happy clients are our goal. If you would like to see some of our work, please go to the GALLERY. If you have more questions, or need to book services, please CONTACT US. We offer full service home and building inspections for real estate transactions. 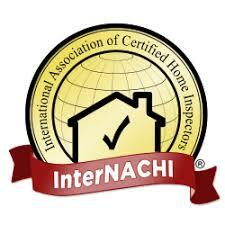 We also offer walk through inspections, annual check ups and more. Contact us to speak with us about your inspection needs. Our client is our focus. We are here to serve you with award winning service and a quality inspection. We love what we do. Giving a prospective homeowner thorough insight to their new home is what makes us proud of our work. We are FAA licensed to operate unmanned aircraft and are able to provide you with drone photos and video for your real estate listing or event. See our gallery to see what aerial photography/videography can do for you. Radon and water testing are essential to the safety of you and your family. Contact us today to schedule water or radon testing.